It is characterized by concave facades of eclectic style buildings that face in it. Here you will find the Palace of the Lions, seat of the Province of Messina, which stands on an area where pre-existed the medieval complex of the Templar Knights, composed of the church of San Marco and the hospital of Santa Maria dei Bianchi. 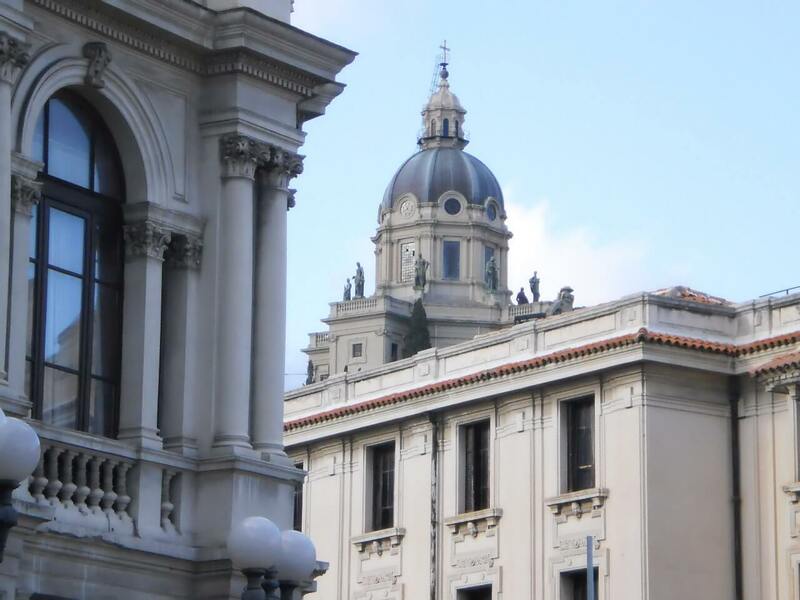 You can also see the former Central Post Office building, recently purchased by the University of Messina. The back of the Palace Zanca, town hall. The elegant Galleria Vittorio Emanuele III. This building was designed by the architect Camillo Puglisi Allegra commissioned by the General Electric Company of Sicily, to create a major residential and commercial hub in the heart of the city. The gallery was inaugurated on August 13, 1929. Do you want to know the SQUARE ANTONELLO DA MESSINA ?